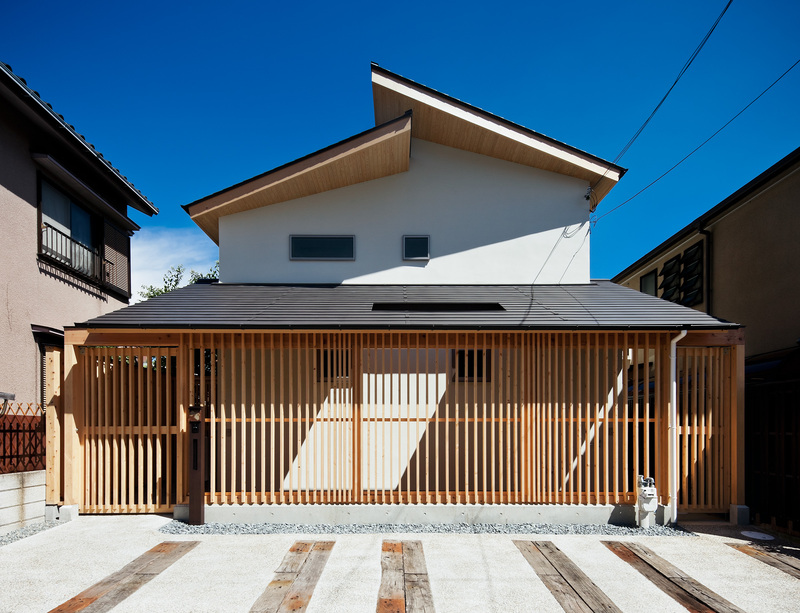 A house built through the construction management system after the winning at the design competition with three architects. The design theme is “earth, wood and fire”. 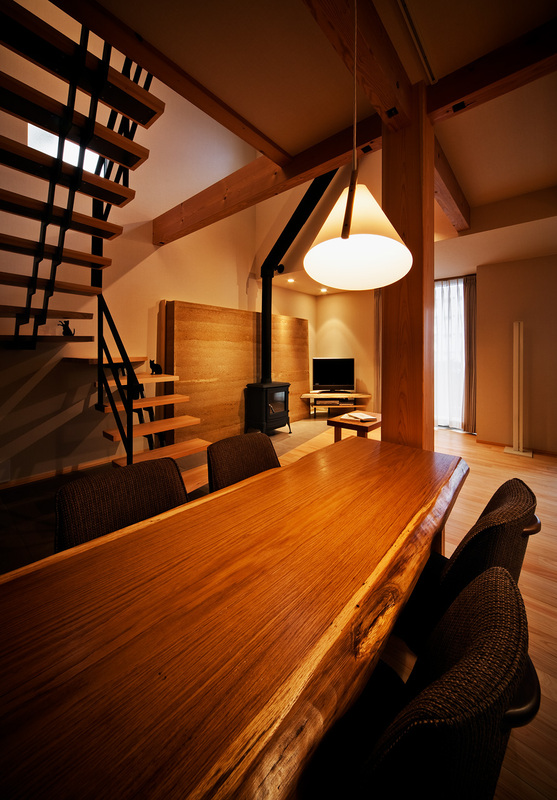 Particularly, natural materials are in use. 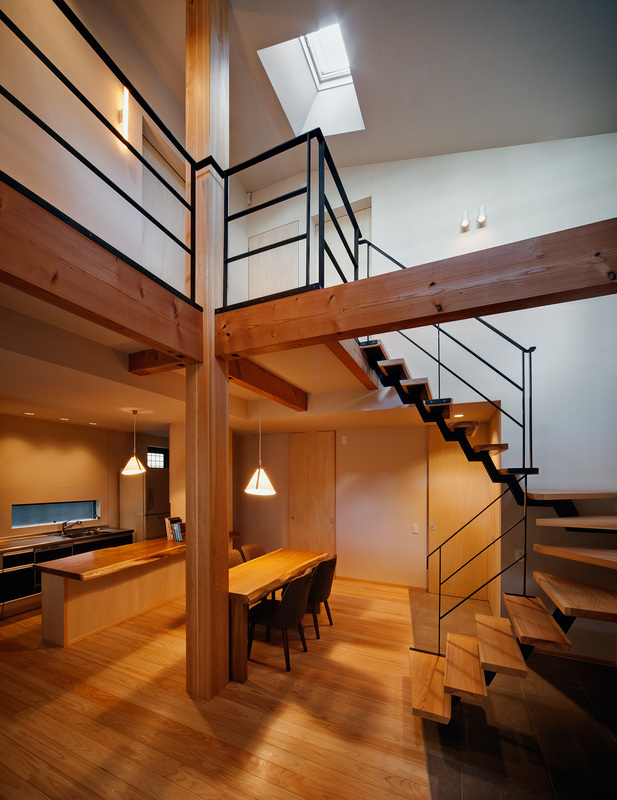 A large dining & living room with a so-called “earth floor” is accessible from outside as you wear shoes on. A 280mm x 280mm pillar stands in the center there. 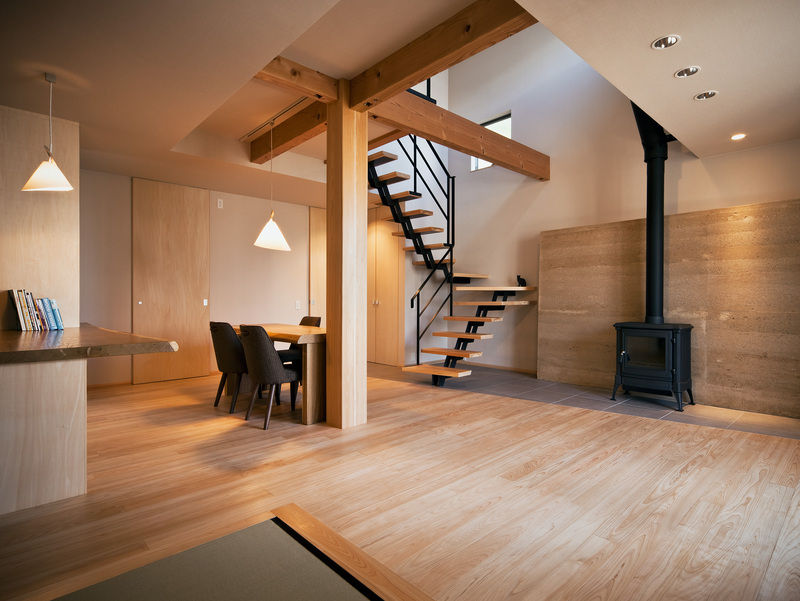 The counter table, dining table and the “hanchiku-heki” (= a wall built in rammed earth techniques) behind the fireplace are assembled with solid Japanese oak woods, which produces depth in space. 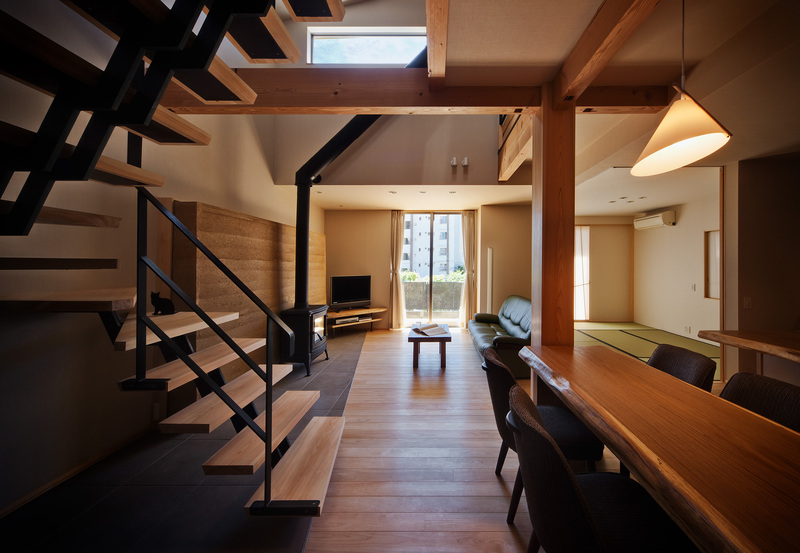 The “earthen floor” made of floor tiles gives many options to use; decorating with branches of cherry blossom in a huge vase in spring, cooling a water melon in a wooden basin in summer, etc. 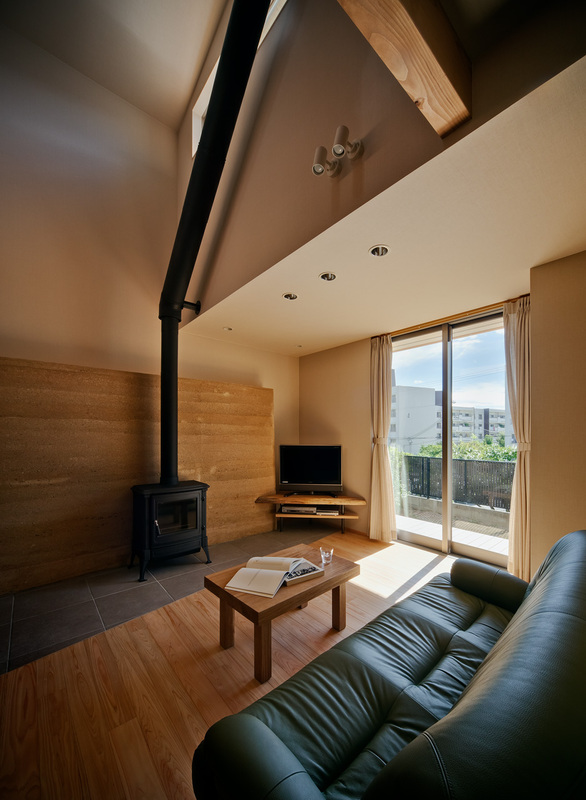 The fireplace plays a key role in winter. Even a pile of wood sticks under the stairs produces a scene as in a resort villa in a winter mountain. “Hanchiku-heki” is a firm earthen wall built in ancient techniques, and the techniques are also applied to the building foundation. Originally, it was almost made only of soil and stone (gravel) and a little bit of lime is sometimes mixed with them. Currently, however, it is often seen with cement mixed in. Its construction is very simple; pour soil in a wooden frame up to 10-20cm at one time, press it with sticks and compress it down to the half, to build the wall up by repeating these steps. Ever since we learned about “hanchiku-heki” from a magazine, we have been dreaming to implement it in our design at some point, but did not know how. One day, while talking to a wood stove vendor, we found out that a “hanchiku-heki” could be a fireproof wall and that they knew one person in Kobe who researched about it. Thus, we met Ms. Kumiko Hatanaka. 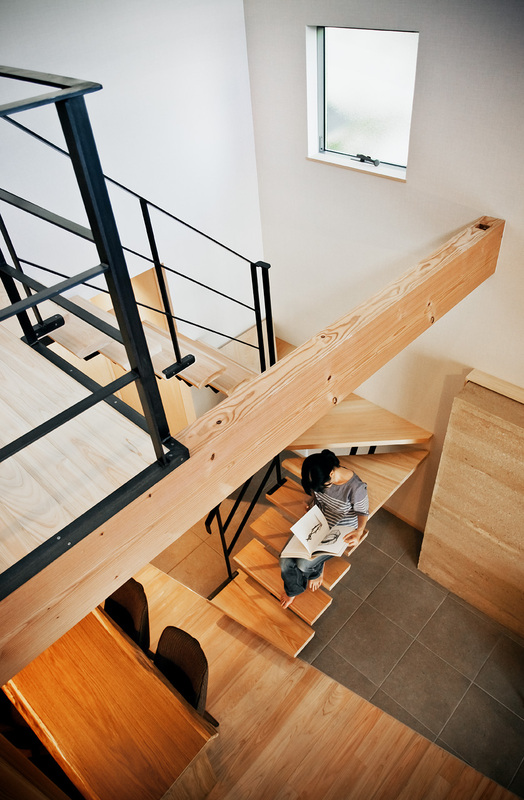 Ms. Hatanaka has taught as lecturer at Kobe Design University and now runs her own design office. 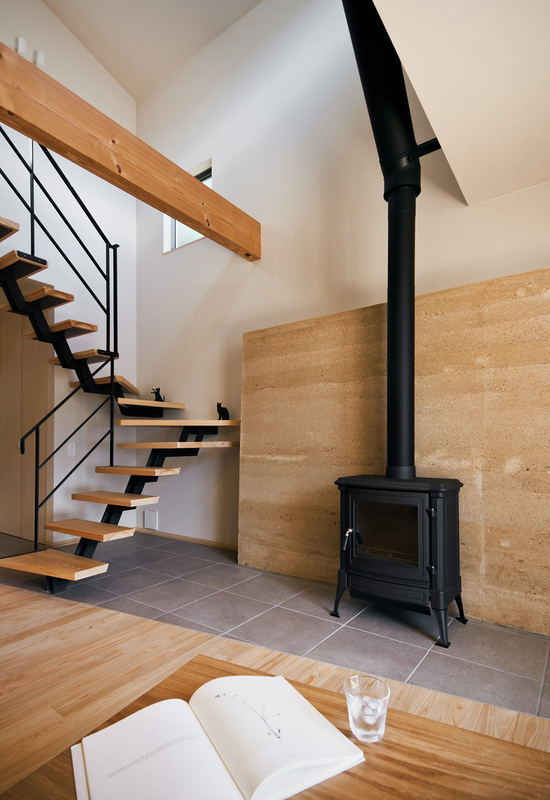 She built her lab in the rammed earth techniques when she was a student, and applied the techniques for a part of her own house as well. First of all, she lectured us about the basic techniques. Then, we developed the blend ratio of materials, the kinds of soils and the ways of pressing and firming the rammed earth, to make various samples. As comparing and reviewing the samples, we worked all together with the staff members of the housing contractor and came up with a good result; a little rough and loose compressing would give more richness in appearance of the wall instead of careful and strong compressing. 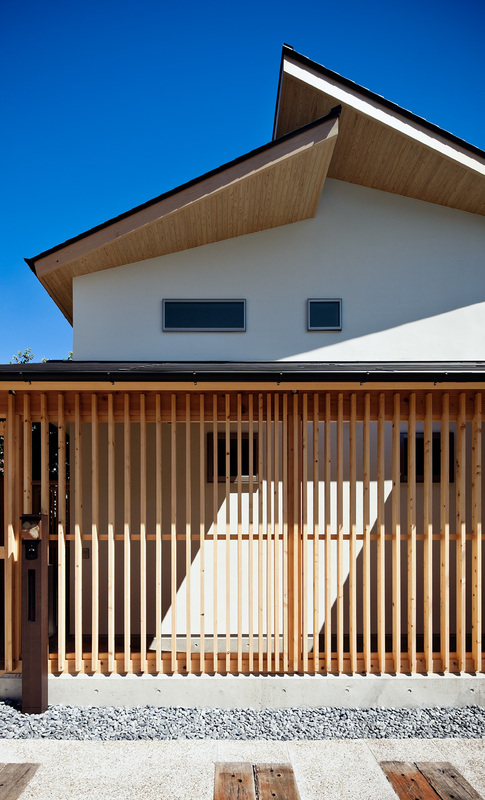 The wall used for the actual house was built by Ms. Hatanaka, the client, the housing contractor and us all together as if we were having a workshop. 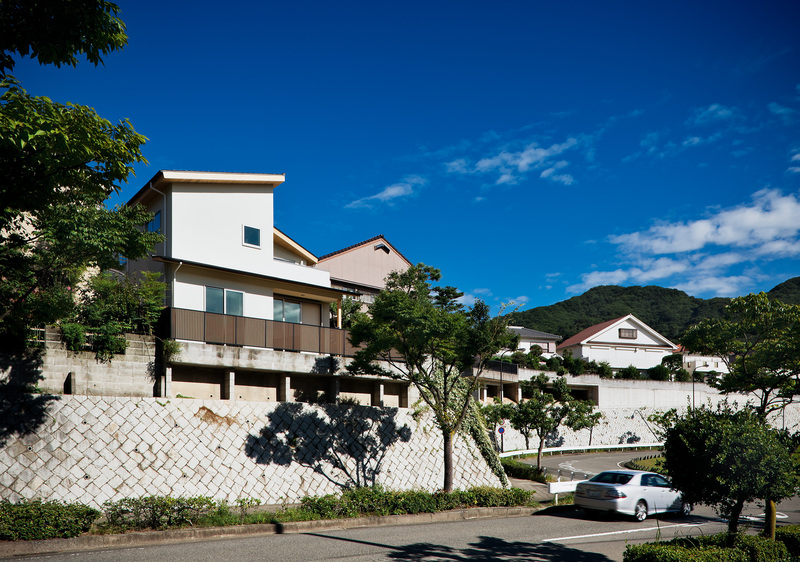 A mold was created as not to give much impact on the main building structure. Soils were blended outside, brought in, poured with buckets into the mold and pressed to firm. These procedures were repeated for some dozen times. We all enjoyed that at the beginning but lost motivation as the wall became higher and difficult for pressing (It is said that in ancient times, these works were done by slaves!). Although all of this went through for 2.5 days (1.5 time faster than a normal case), the result was satisfactory. Moreover, we became more attached to this house through the efforts we all made together.